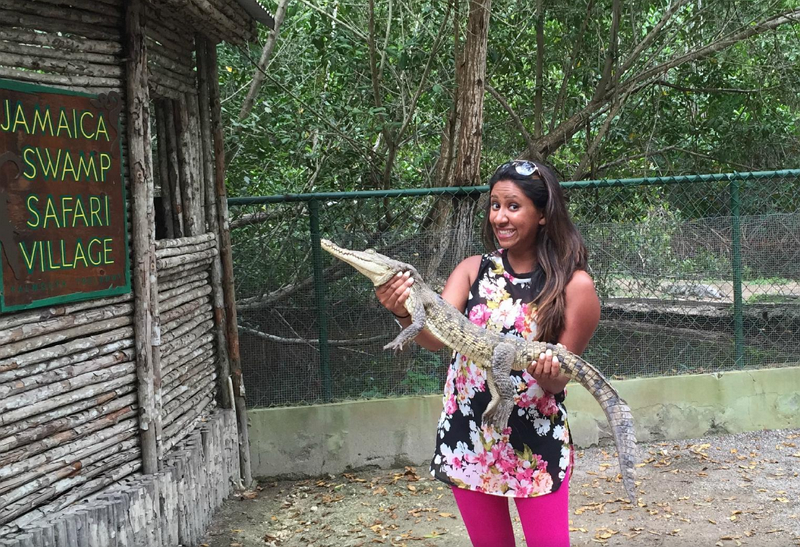 Travel Around Jamaica Tours – Page 2 – Fun Starts Now! Travel Around Jamaica Tours today announced that it has received a TripAdvisor® Certificate of Excellence for the second year in a row! Now in its sixth year, the achievement celebrates hospitality businesses that have earned great traveler reviews on TripAdvisor over the past year. 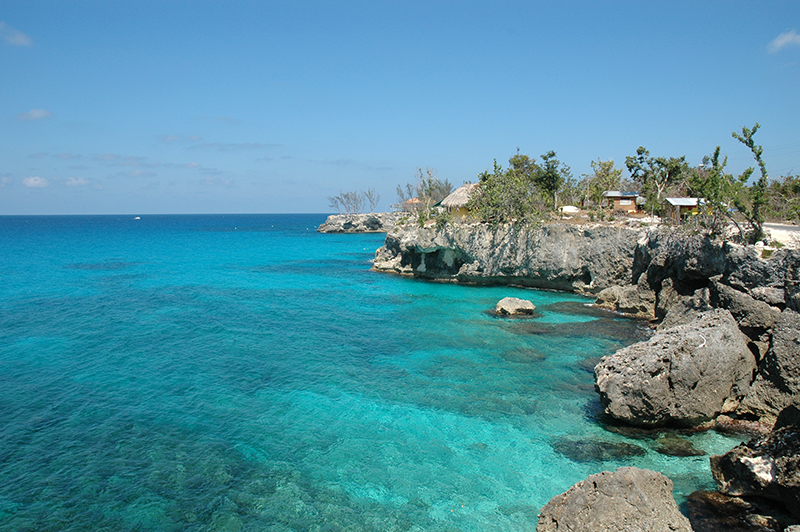 “Havian, our driver gave us an incredible hour & half ride to Ocho Rios & return to Sangster airport. I will use them forever on our visits to Jamaica. Very polite, on time and a great price”. Travel Around Jamaica Tours specializes in providing 1st class, private Montego Bay Airport transfers and tours to all resorts, hotels, and tours in Montego Bay, Ocho Rios, Negril, Falmouth, and Runaway Bay. For more information, visit our website at www.travelaroundjamaica.com. Interested in going on vacation to somewhere warm, fun, and family-friendly soon? Why not come visit the land of sun and fun! in beautiful Jamaica? Our Blue Hole Secret Falls Tour is perfect for anyone who wants to experience the natural beauty of Jamaica beyond its resorts and hotels. 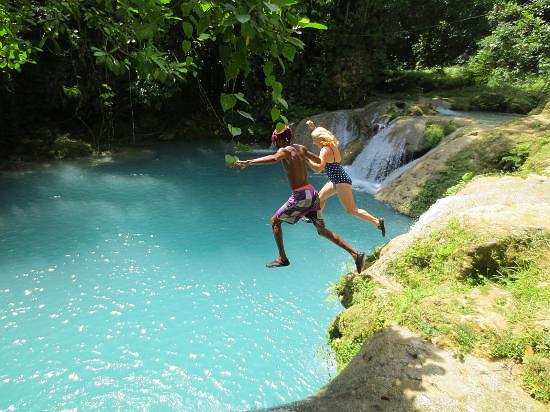 In fact the Blue Hole in Ocho Rios is both enjoyed by tourists and locals alike, and is located in the rainforest. During our Blue Hole Secret Falls Tour you will have the unique ability to swing and jump like Tarzan into the refreshing Blue Hole. For more info about our Blue Hole Secret Falls Tour, visit our Blue Hole Secret Falls Tour page. On our Falmouth Safari Village Tour you will get the opportunity of a lifetime to take a walk on the wild side and meet up close and personal some of the most incredible rare exotic animal specials, such as an 18-foot Anaconda named “Shakira”, rare crocodies, as well as tour Jamaica’s largest walk-through aviary, which has a large variety of exotic birds. 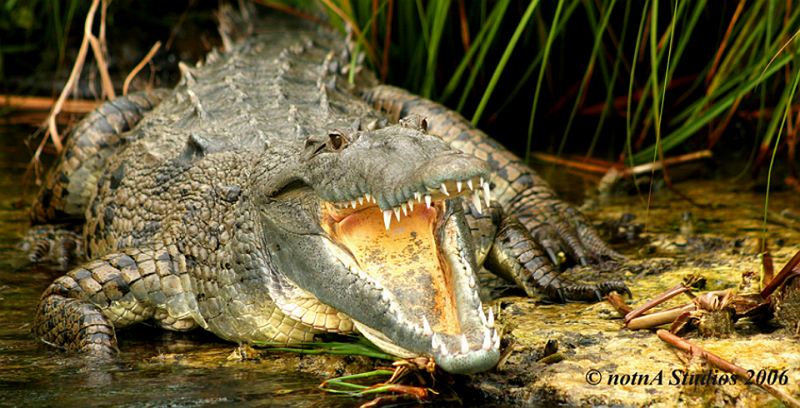 Visit our Falmouth Safari Village Tour page to learn more about this incredible Jamaican Safari Tour! 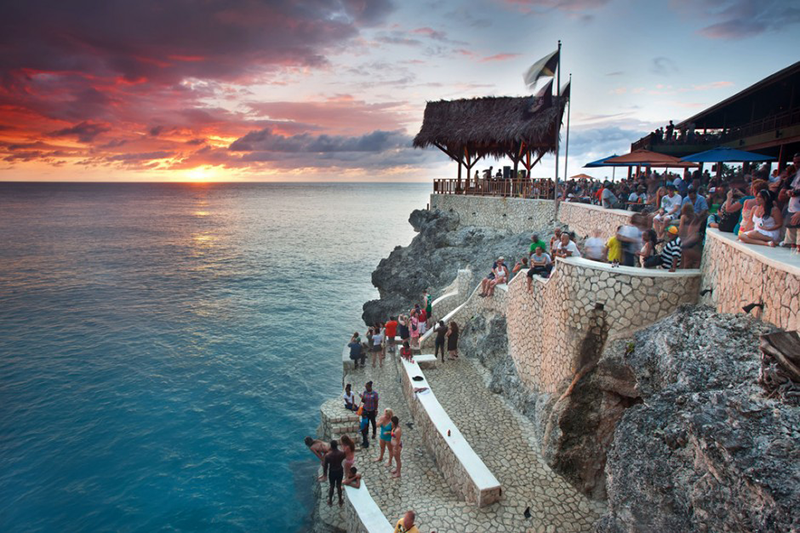 Our Montego Bay Highlight Day Tour is perfect for all members of the family who want to get a good overview of the city’s top cultural and entertainment spots, such as Margaritaville at Doctor’s Cove Beach, Sam Sharpe Square, and The Richmond Hill Inn. To learn more about our Montego Bay Highlight Day Tour visit our Montego Bay Highlight Day Tour page. 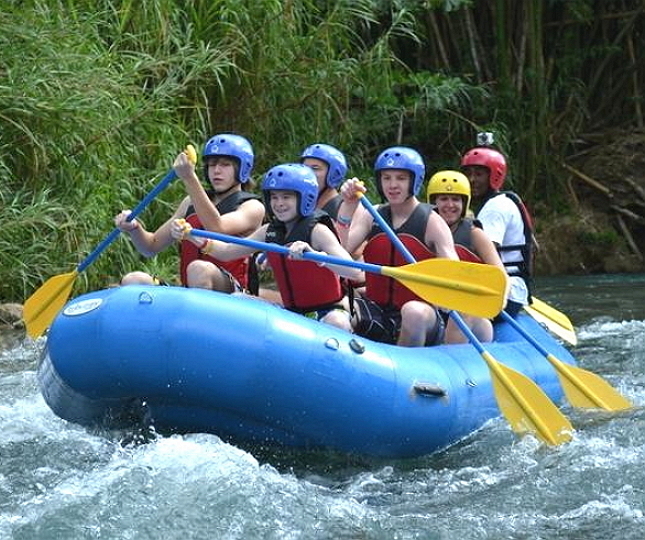 Our Jamaica River Adventure Tour is located centrally near many popular tourist towns, such as Falmouth, Ocho Rios, and Runaway Bay on the beautiful Bueno River. 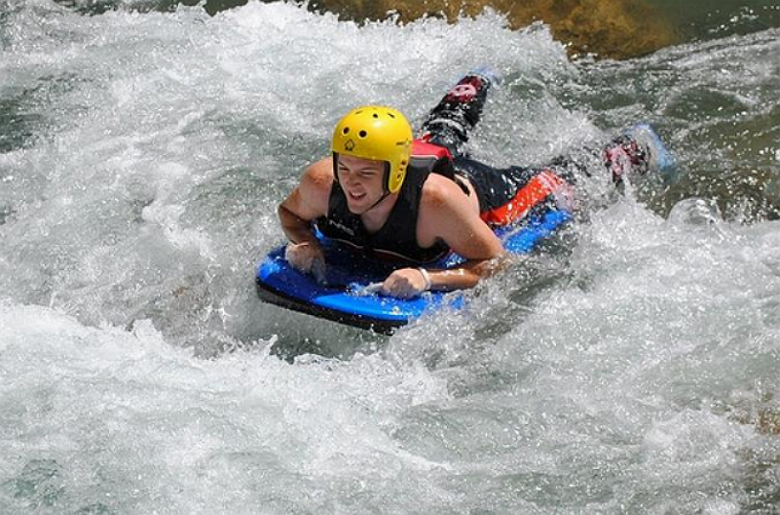 This tour is very family friendly, since it offers a variety of extremely fun water sports, including kayaking, rafting, tubing, and river boarding, which are guided by local professional guides. To learn more about our Jamaica River Adventure Tour visit our Jamaica River Adventure Tour page. Dunn’s River Falls, A.K.A. “the Niagara Falls of the Caribbean” is one of Jamaica’s most stunningly beautiful and popular natural tourist attractions for a reason. During our Dunn’s River Falls Tour you will get to climb 600-feet of cascading waterfalls by forming a human daisy chain. 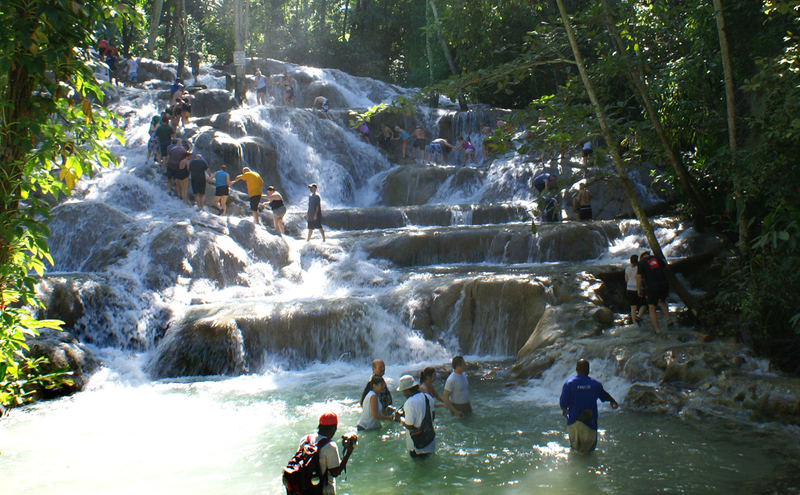 To learn more about this tour, visit our Dunn’s River Falls Tour page. 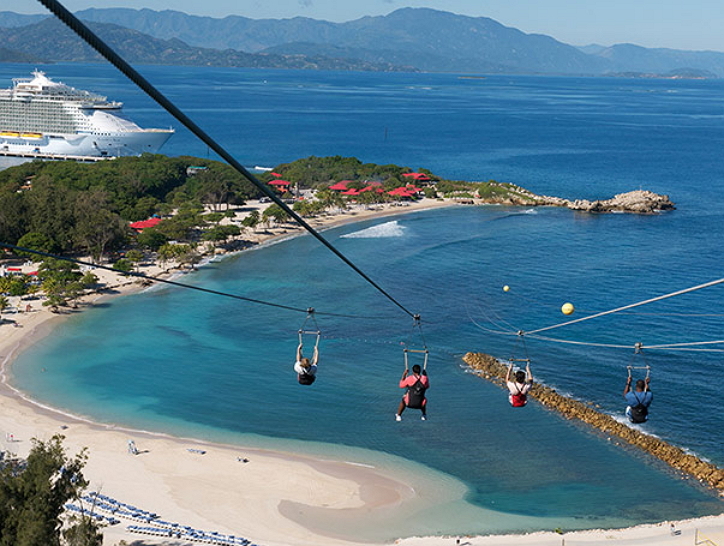 Travel Around Jamaica Tours is dedicated to providing fun and affordable Jamaica adventure and sightseeing tours to all tourist destinations in Jamaica, including in Ocho Rios, Montego Bay, Negril, and Falmouth. 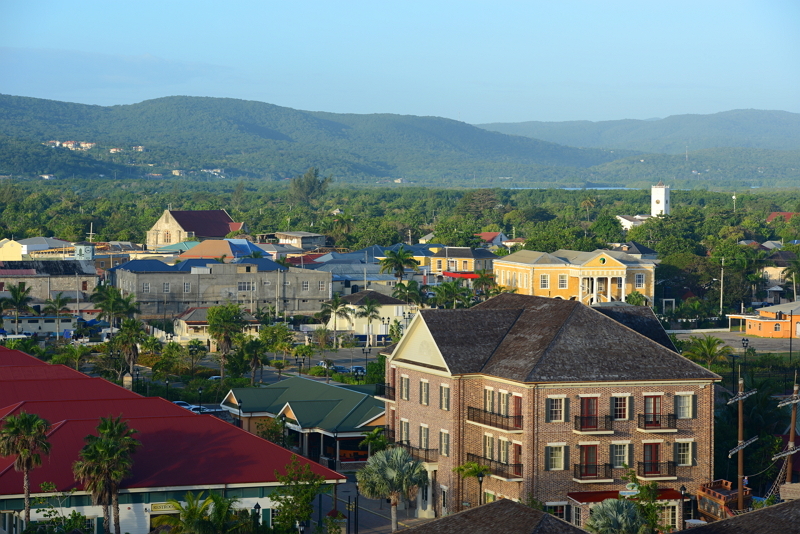 We also provide 1st class, private Montego Bay airport transfers to all hotels and resorts, starting at $54! To learn more visit: http://travelaroundjamaica.com. Jamaica, though a tiny island in the Caribbean Sea, offers breathtaking sights, amazing views and exhilarating adventures for all those who choose to visit this wonderful region. 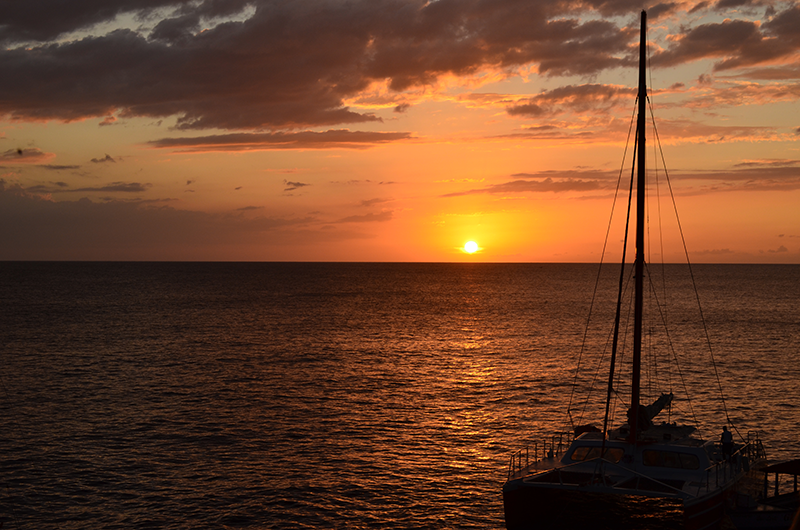 It was initially named ‘Santiago’, but was later renamed as Jamaica, when it came under English rule. Falmouth Jamaica, founded by Thomas Reid in 1769 was initially a market center and a port before it became a very popular tourist attraction and an ideal getaway for visitors of all ages. It is the gateway into the island and is stuck between Ocho Rios and Montego Bay. Regardless of whether you want to snorkel the blue Caribbean waters, soak up sun, get a breathtaking view of the mountains, lush rainforests and reef-lined beaches, or enjoy and savor Jamaican history and architecture at its best, acquaint yourself with its vibrant arts culture and spicy Caribbean cuisine–Falmouth is the place to do it. Falmouth is an essential stopover for cruise ship passengers and is well known for its community-led walking tours. The famous Dunn’s River Falls near Ocho Rios is just an hour away from Falmouth, while Mystic Mountain that’s also in Ocho Rios is a rainforest adventure park that offers unique outdoor activities for kids and adults alike. No visit to Falmouth is complete without rafting on a long bamboo raft along one of the most beautiful rivers-the Martha Brae River. The three-mile raft ride that takes about one and a half hours is an amazing trip that’s so relaxing that you won’t want it to end. If you’re lucky you’ll even get a hand at steering with a long bamboo pole. 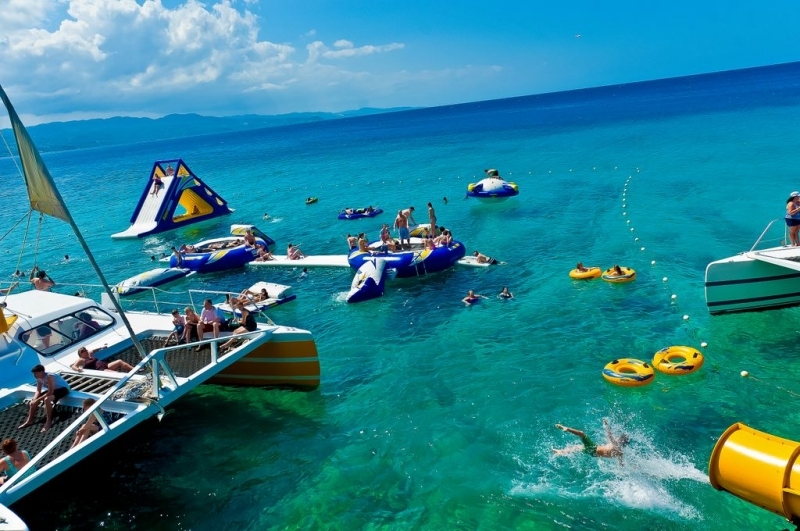 Cruisers of all ages delight in the abundance of adventure that Ocho Rios and Falmouth offer, such as sailing, climbing waterfalls, river tubing, exploring the Green Grotto caves, and drifting down the Martha Brae River. 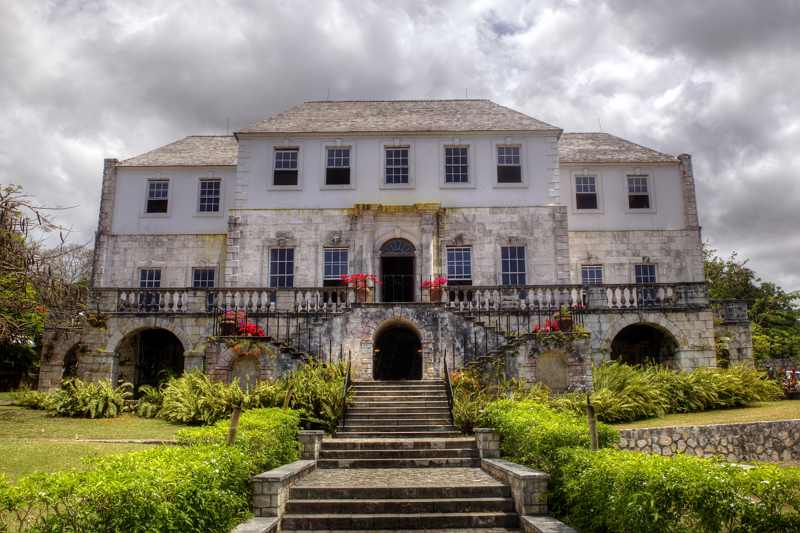 You can also take a tour of the great houses that lie in the vicinity of Montego Bay, enjoy the shopping area that fronts the beach, visit the old public buildings, the small wooden houses, brick Georgian mansions and plantation complexes, while savoring a range of architecture that spans the 18th and 19th centuries. In addition, while in Falmouth you can experience the magic of its awesome beaches, including secluded beaches with quiet stretches of sand, and active beaches that are scenic and private. Falmouth even has party beaches where you can party and relax on the sand. Falmouth may not have many restaurants, but the few that are there offer delicious, authentic Jamaican staples and mouth-watering delicacies. Falmouth, with its cobble-stoned streets is a mix of the old and new that has tastes and shades of history intertwined in its towns and villages. Whatever you do or don’t do, you cannot afford to miss tasting the divine cuisine that it offers. 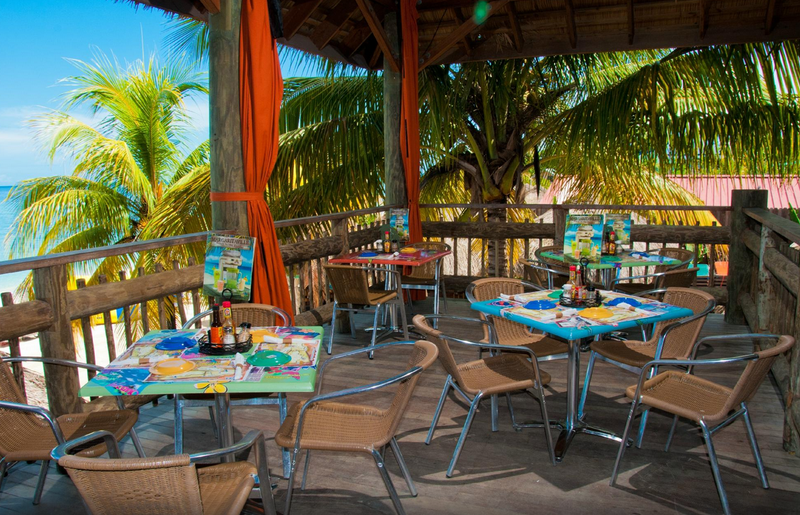 There may not be many restaurants but the few of them that are there offer the best of Caribbean cuisine, so much so that you won’t want to leave even after you’ve had your fill. 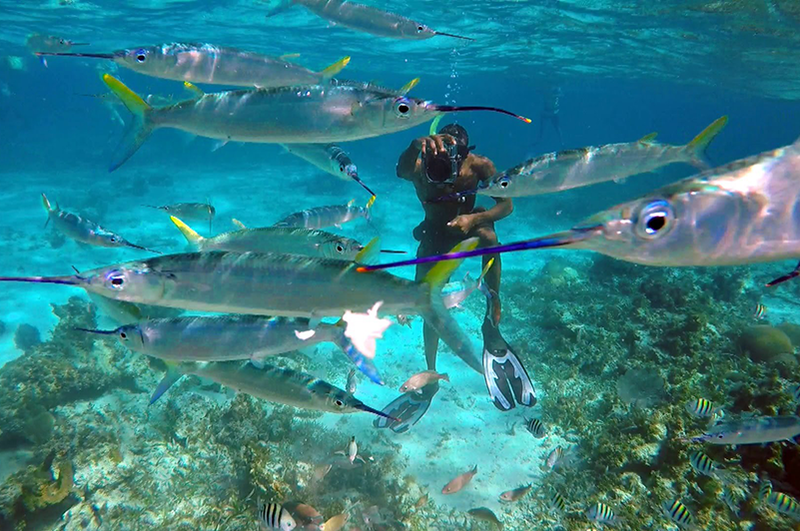 To check out our great Falmouth Jamaica excursions and adventure tours, such as our Negril Private Highlights Tour or Falmouth Safari Village Tour, visit our Falmouth Excursions page on our website or call us at (876) 287-2180 today! At Travel Around Jamaica Tours we provide 1st class customer service to all people, regardless of their ethnicity, religion, physical abilities, etc. And we are extremely proud to announce that we are now offering private Montego Bay Wheelchair Transfers from Montego Bay Airport to any villas, hotels, resorts or tours in Jamaica! In fact our Jamaica Tourist Board (JTB) certified drivers are also trained in operating wheelchair lifts in our vehicles, so that you will be able to be transported safely and with any hassles to your tourist destination. In addition, we are more than happy to assist you with any Jamaica sightseeing or adventure tours that you might want to go on while you are visiting our beautiful tropical island! 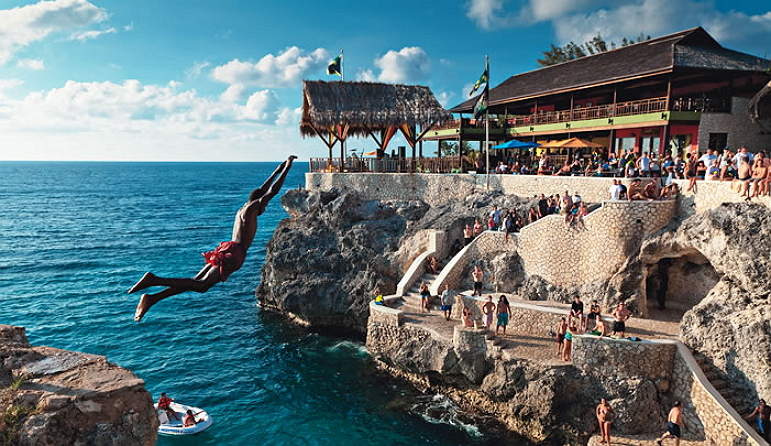 For instance, some of our most popular Jamaica Tours include: Negril Sunset Day Tour at Rick’s Cafe; Montego Bay Highlight Day Tour and Ocho Rios Highlight Tour. However, we also provide custom Jamaica tours for those looking for a more personalized and unique Jamaican tour experience ! 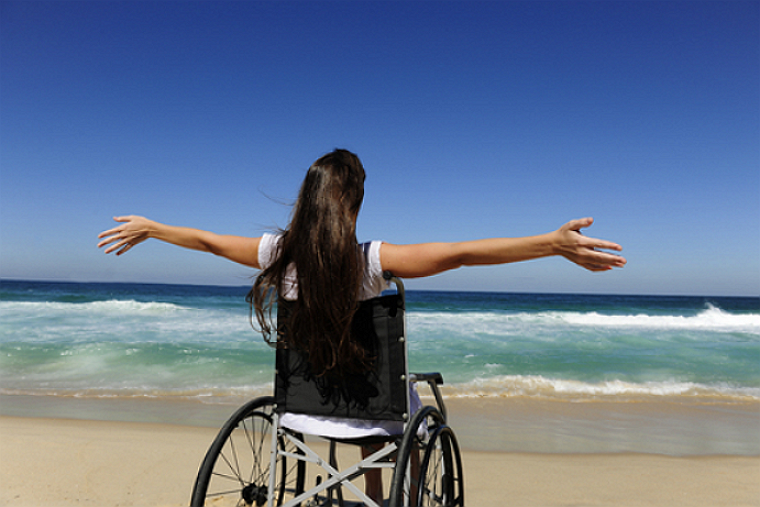 For more info on our Montego Bay Wheelchair Transfers and Tours, visit our website at http://travelaroundjamaica.com or email us at info@travelaroundjamaica.com. Alternatively if you prefer to book with us while visiting Montego Bay, give us a call at (876) 287-2180.